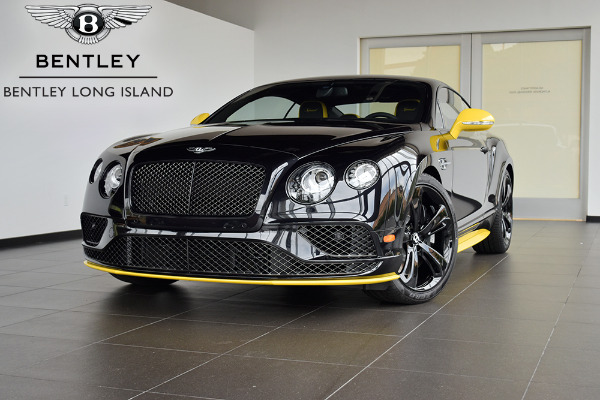 Bentley’s top-trim Continental GT V8 S pumps out an impressive 520 horsepower (388 kilowatts) and 502 pound-feet (680 Newton-meters) of torque. All that power comes courtesy of a 4.0-liter biturbo V8, giving it the ability to propel to 60 miles per hour (96 kilometers per hour) in just 4.3 seconds and on to a top speed of 192 mph (308 kmh). Bentley has decided to build on that impressive platform with a special Black Edition, just in time for the holiday season. Though it doesn't add on any extra horsepower, it does take all that already-available speed and introduce a more stylish package, assuring you and everyone around you knows just how potent this luxury sports coupe can be. Available for the both the coupe and convertible, the package introduces a gloss black finish to the side window surrounds, lower bumper and lower body side rubbing strips. The door handles also get the gloss black finish, as do the headlamp bezels and radiator matrix surround. The cherry on top – 21-inch seven-spoke alloy wheels in, you guessed it, black. But there is some irony in this new package. While nearly every fixture gets the gloss black treatment, the car itself can not be purchased in black, dashing your dreams of driving around like Bruce Wayne in the Dark Knight trilogy. Still, though, you can choose from a range of six colors – Morning Mist, Sunrise, Stratosphere, Riviera, Habanero, and Pure Power – along with a range of new accenting colors to the side skirts and rear diffuser. The interior, meanwhile, doesn’t get much in the way of upgrades outside of a set of Design Seats by Mulliner and a headliner bow that compliments the exterior accenting features. The company has yet to release any official pricing or availability.